Cannes Lions believe creativity is a force for business, for change and for good in the world. Established in 1954, is a global campaign for creativity, with the International Festival of Creativity as its epicentre. Every year over 15,000 attendees from over 90 countries come to the Cannes Lions events. 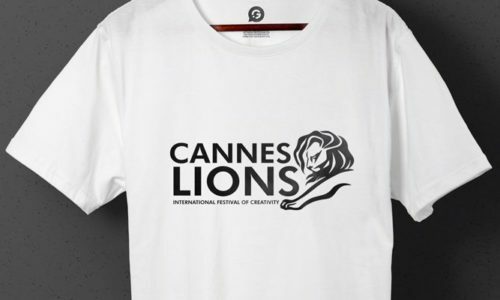 As it was to be a very well-attended event, the team at Cannes Lions needed a large quantity of printed staff uniforms in black with their lion logo printed in white, making the staff really stand out amongst the crowds. They also wanted a large number or T-Shirts printed to use as promotional merchandise on the day.